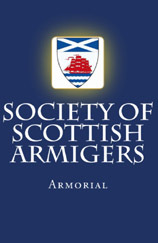 The Society of Scottish Armigers. The Scots are a curious bunch. On the one hand we can be extremely egalitarian. �A Man�s a man for a� that,� Burns� great prophetic ode to the brotherhood of man, captures something central to our national character. On the other, we are deeply attached to our history. Highlanders in particular have been famously and fanatically loyal to their kings and chiefs, even when those leaders, frankly, proved unworthy of that devotion. Particularly among Scots of the Diaspora there remains a strong identification with clan, a fascination with chiefs and with the mottos, badges and insignia that go with them. These details tie us together and bind us back to the land of our ancestors, the home of our hearts. Get to a Highland Games and see the proud displays in the clan tents, the flags flying everywhere, the vendors selling everything from T-shirts, ties and sashes to mugs, key-rings and who knows what with your clan tartan and insignia. Except, of course, that clans don�t have coats of arms or mottos; armigers do. An armiger is an individual with heraldic arms. A clan is a group of people who recognize a specific armiger as their chief and wear his or her crest surrounded by a strap and buckle bearing the chief�s motto or slogan. It�s a bit more complicated than that. 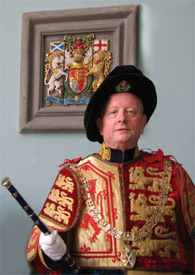 The Lord Lyon King of Arms, the supreme judge of heraldry in Scotland, may recognise the chief of a clan or the head of a family by a grant or a confirmation of the principal Arms of the clan or family in question. 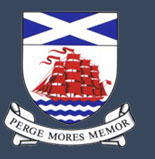 And for an armiger to be an armiger, their arms must also have been recognized by the Lyon Court and entered in the Public Register of All Arms and Bearings in Scotland, which has been maintained since 1672. Scotland, in fact, has some very precise rules governing arms and heraldic achievements. The Society of Scottish Armigers was founded to help people understand some of these rules and avoid common mistakes. 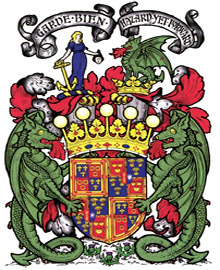 The Lord Lyon is our President, and one of our missions is to serve as a conduit, a means of communication between him and the general public on matters of heraldry and practice, although we do not speak for him in an �official� sense. Similarly, many of the prominent clan chiefs are also members of the Society, and we are in active communication with the Standing Council of Scottish Chiefs, though, again, we do not speak for them in any official sense either. You can find links here to both their website and Lyon�s. This website, then, is intended to serve many disparate groups. We want to be a forum for our members. But most of all we hope to serve the general public and be a resource for Scots all over the world, and for cities which may find themselves hosting Scottish Games or festivals. By improving understanding, and avoiding misunderstanding, we hope to play our small part in strengthening the important ties which bind Scots of the Diaspora to the land of our ancestors. Please let us know if you find the site helpful, and what we can do to make it better. The SSA Armorial is now available to Members, go to Hot News 32 & 33 in the Gallery for details on ordering.